I was delighted to hear about a hula mass to honor the feast day of Queen Lili’uokalani, the last reigning monarch in Hawaii. Writer Dianne Smith tells a very interesting story about Hawaii’s last reigning monarch. “Queen Lili`uokalani had great respect for the legacy of her great-grandaunt Queen Kapiolani, one of the first converts to the novel faith in the Lord Jesus Christ espoused by the haole ministers. Up till that time, the islanders lived in abject fear of a ferocious goddess of their imaginations named Pele, who supposedly lived inside Mt. Kilauea on the Big Island. “When the volcano erupted with lava, the superstitious Hawaiians believed Pele was angry and needed to be appeased. 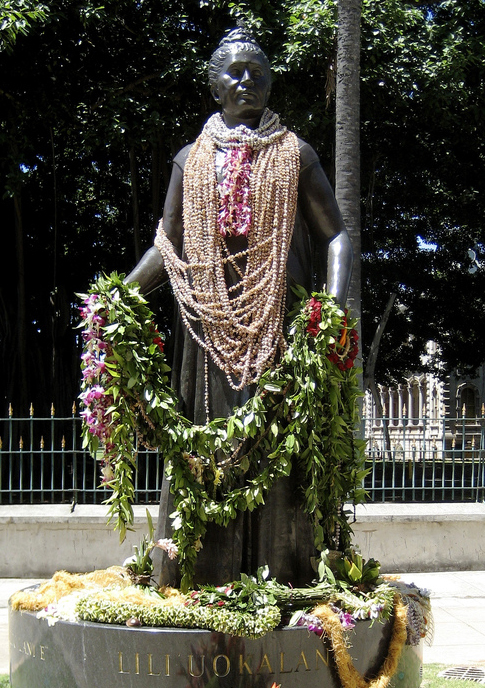 Around 1820, Queen Kapi’olani put her faith in Christ and then did something very bold and courageous for her time. To show the people that Pele was not a god at all, she went to the “forbidden place” on Hawaii, now Volcano National Park, and lived to tell about it.